The press-center of every tournament is a unique unit, and its staff becomes a family by the end of the event. If the team was good, it usually means that the tournament was good, too. Hopefully this time everything was perfect. 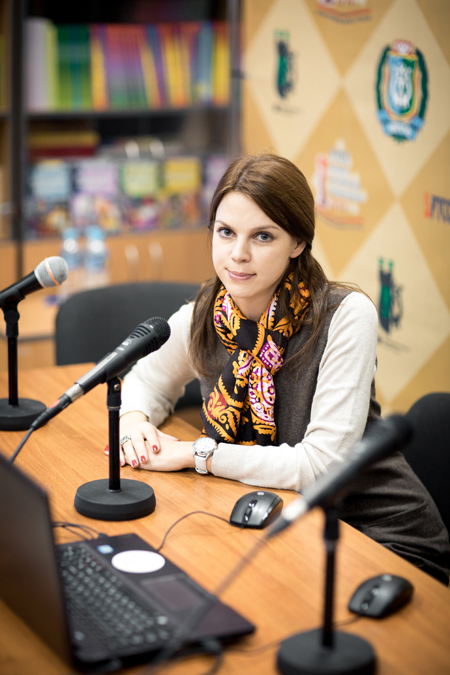 Anastasia Karlovich – FIDE Press Officer. Without her this excellent team would not exist, and her charm made every press-conference special and memorable. 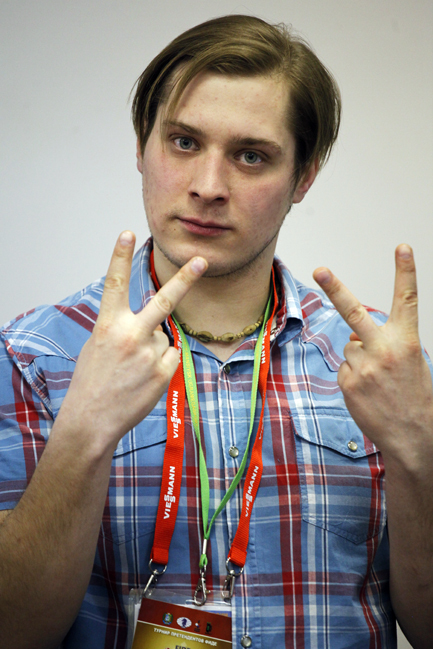 Alexander Parkhomenko – press-secretary from the organizers. This man can organize absolutely everything. Eteri Kublashvili – RCF press-secretary. She hosted press-conferences, made photographic reports and interviews. She inspired both the players and the journalists for heroic work. 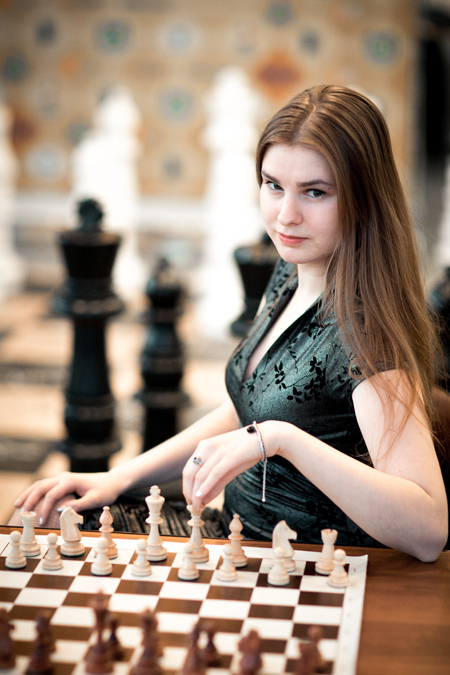 Anna Burtasova – Chess TV editor. Anna brilliantly hosted the press-conferences and even managed to translate after Peter Svidler in time. 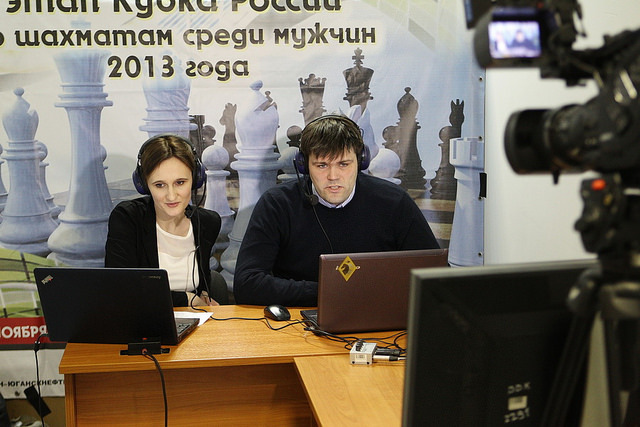 Chess TV director Tatiana Pushkareva ruled the cameras, picked the best views, noticed every detail. We are all thankful to her for the opportunity to enjoy live chess video on a regular basis. Maxim Notkin – Chesspro.ru chief editor. He issued press-releases, edited and published chess reviews. Sharp eyes of Maxim Gennadyaevich catch even the smallest mistakes. 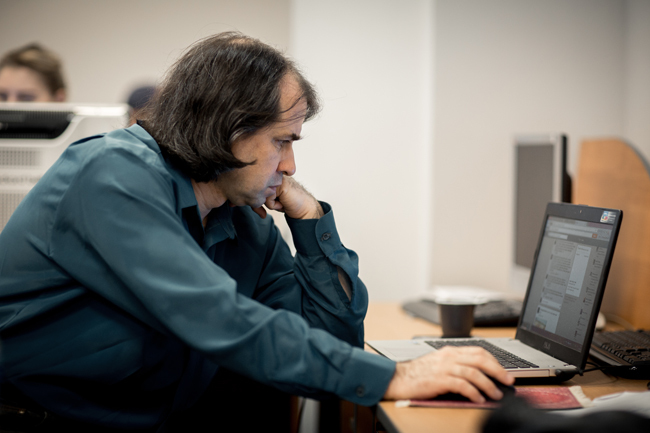 Eldar Mukhametov – chief editor of Moscowchess.org. He prepared our press-releases, tweeted about the tournament, edited various texts. Unfortunately, he had to return to Moscow early, and we all missed him in the second half. The grandmaster couple Peter-Heine Nielsen and Victoria Cmilyte commented the games in English and stayed in the spotlight for many hours in front of thousands viewers. Bravo! 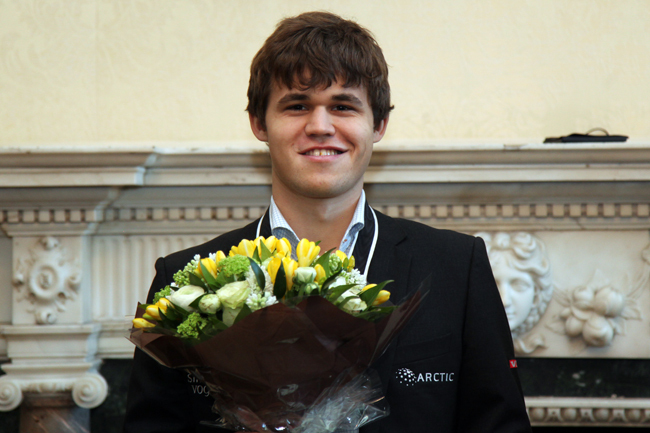 The World Champion Magnus Carlsen joined their broadcast for an hour. His live comments were widely quoted all over the net. 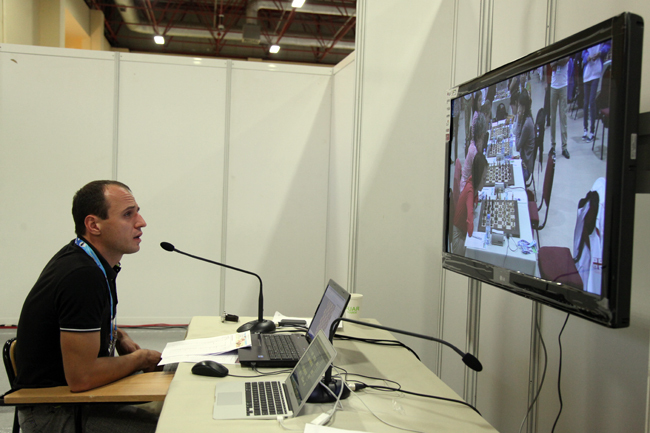 Sergey Shipov showed his virtuoso skill commenting the games in Russian. On different days he was accompanied by Sergey Rublevsky, Evgeny Sveshnikov, Ian Nepomniachtchi, and Alexander Grischuk. 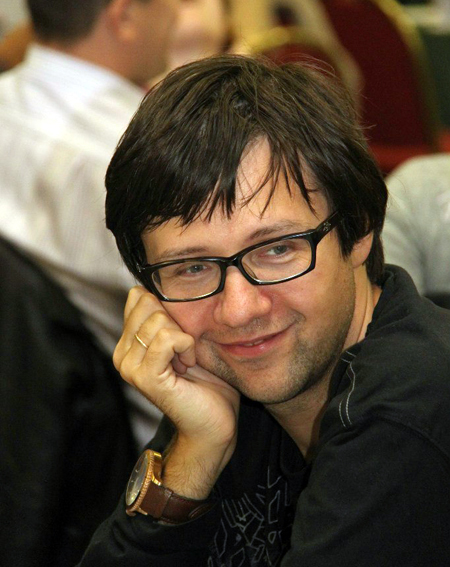 Goran Urosevic (Chessdom.com) prepared the reports and press-releases in English and interviewed players and officials. Thanks to Goran we could publish round reports in English in 10 minutes after the end of each round. 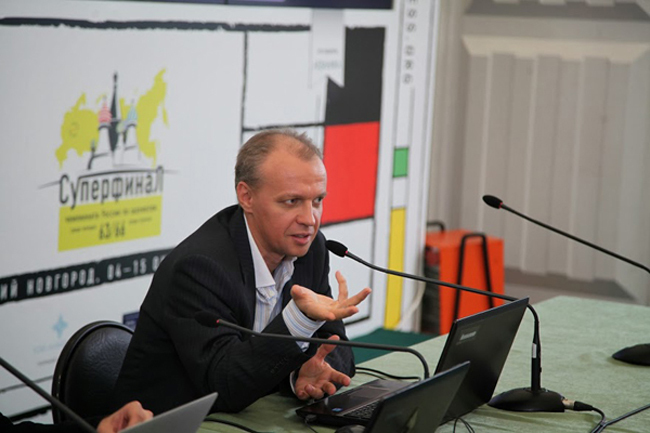 Evgeny Miroshnichenko prepared detailed chess reviews for chess professionals that were also interesting and easy to comprehend for all chess fans. He had an excellent opportunity to win all drawn games and defend every lost position. 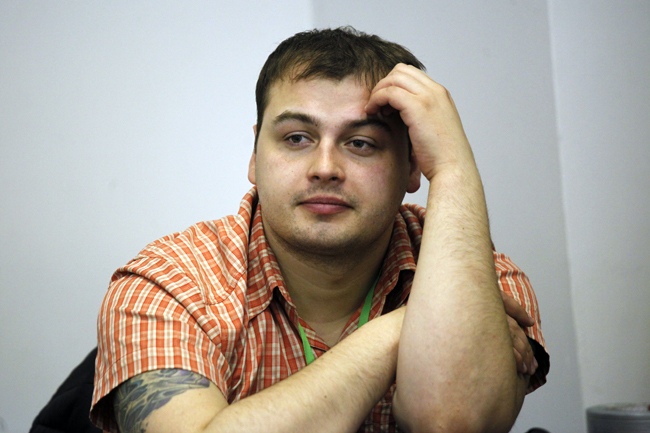 Misha Savinov translated almost all texts for the official site, often working from dusk till dawn. 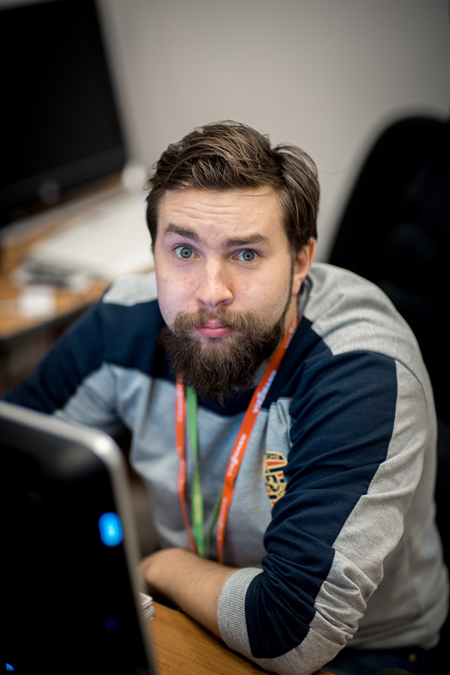 Nikita Filippov organized daily routine at the press-center, communicated with regional media, and controlled the official site. A truly indispensable man who published every article and covered extra-curriculum activities. He is also an excellent singer. 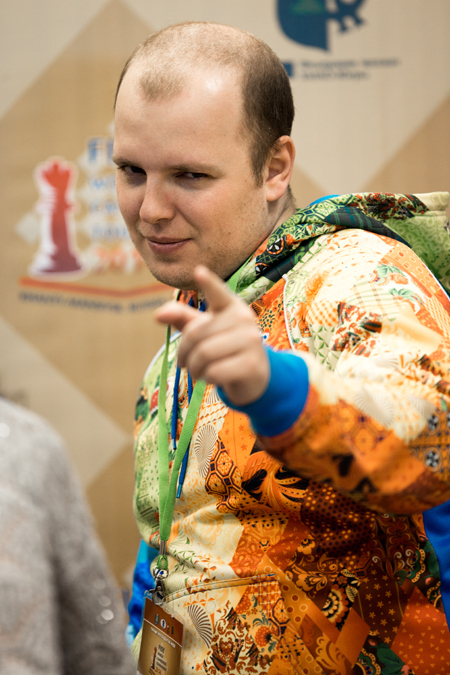 Kirill Merkuriev – the official photographer of the candidates tournament. If you need a gorgeous photo, ask Kirill. He also has a birthday on March 30 – happy birthday! Peter Ermakov prepared non-chess reports, transcribed the press-conferences, sent out the press-releases and grew a beard. 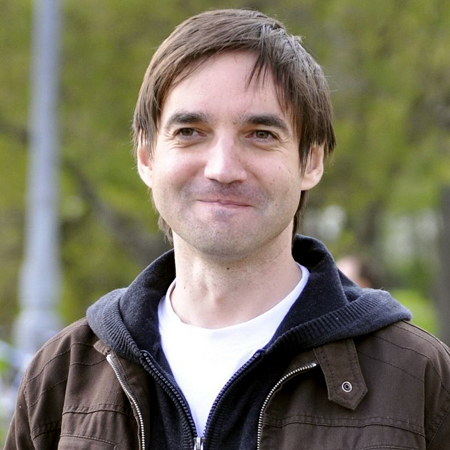 Boris Kozyrev created and supported the official website. He can run the computer office from home! The guy is a true computer genius to us. Gorgeous Maria Kuchakova and Zarina Khabibullina decorated the press-center with their presence, transcribed the press-conferences and assisted with everything they were asked for. 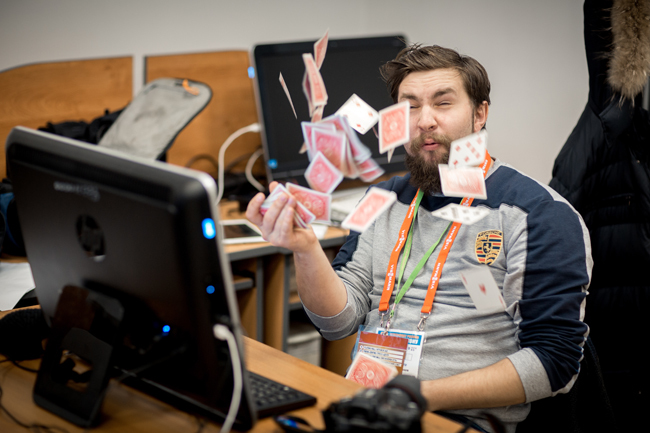 It is never boring at the press-center!